If you regularly share webpages on social networks, you must have noticed that most websites have a bar with sharing buttons for Twitter, Facebook, Google+, etc. But sometimes you may come across an interesting article, or a good deal for a product, that you want to share with your Twitter friends, but you find no social buttons to do so. So, you end up manually copying and pasting the link for the webpage and the title, headover to Twitter, login and then tweet about it. What if I told you you could do it with a few clicks of the mouse? 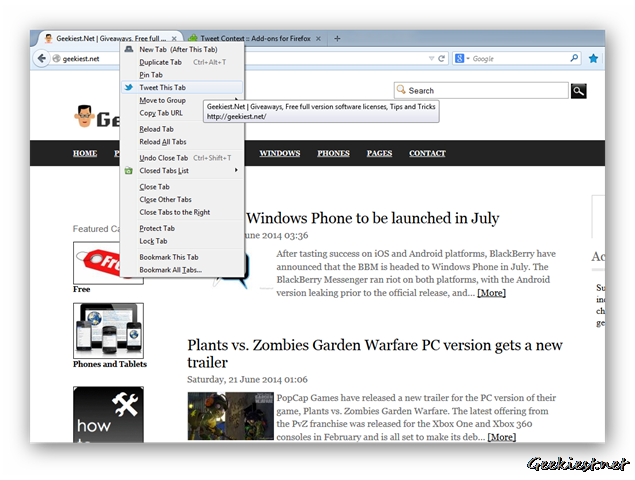 Meet Twitter Context, an addon for Mozilla Firefox. 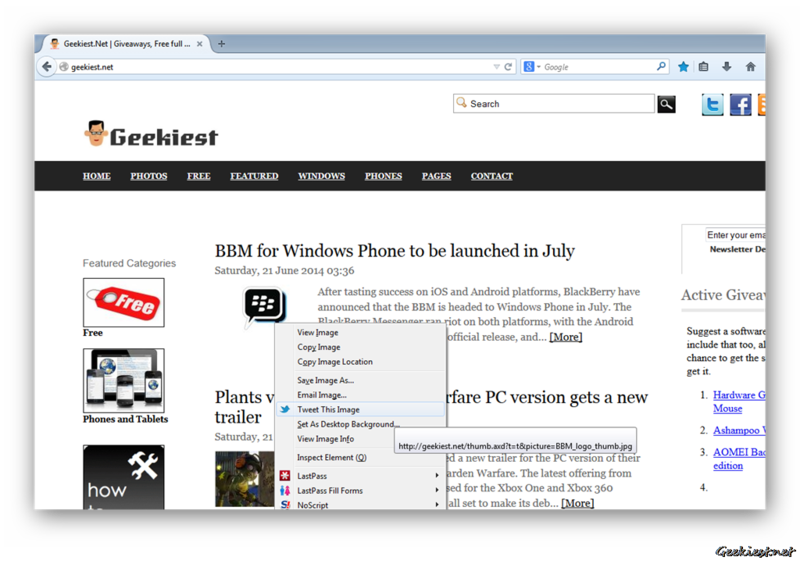 This extension lets you tweet a page’s link, an image and more quickly from the right-click context menu of your browser. To Tweet a page’s link, right click anywhere and select “Tweet this page”, the addon will automatically copy the page’s title and the link to your tweet. All you have to do is sign and tweet it. If you are already signed in, just click tweet. You can also tweet an image in the same way. The addon also lets you tweet from the Tab Context menu, just right-click on a tab and select “Tweet this Tab” to tweet it. You can also hover over a link text to tweet a page’s link. 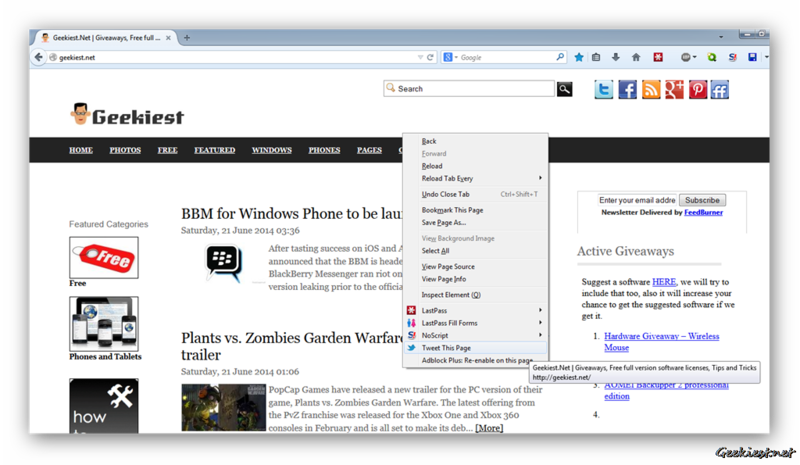 You can also tweet links from the Bookmarks/Sidebar menus. Additionally, you can highlight text from any page, and tweet it.You can also enable HTTPS from the addon’s options for better security. Note: The addons options screen says it supports Echofon and Hootbar. They were two popular Firefox extensions, who have been discontinued. So you can’t use them anymore.